1) You must be told if information in your file has been used against you. If anyone denies your application for credit, insurance or employment, or takes any other adverse action based on a credit or other consumer report, must tell you about their decision and give you the name, address and phone number of the consumer agency that provided the information. -you are unemployed but expect to apply for employment within 60 days. 3) You have the right to ask for a credit score. These scores provide information about your credit worthiness. You have to pay to obtain your scores from the credit agencies but in some mortgage transactions, you may ask for it from the mortgage lender, or, the lender may send you the score used to deny your mortgage application. 4) You have the right to dispute incomplete or inaccurate information. If you notify the consumer agency about incomplete or inaccurate information in your file, they have to investigate unless your dispute is frivolous. 5) Consumer reporting agencies must correct or delete inaccurate, incomplete, or unverifiable information. Consumer agencies have 30 days to remove or correct inaccurate, incomplete or unverifiable information in your file. But, they may continue to report the information if they conclude the information is accurate following verification. 6) Consumer reporting agencies may not report outdated negative information. Negative information should be removed from your file after 7 years. Bankruptcies should be removed after 10 years. 7) Access to your file must be limited. Only parties with valid needs can have access to your files. Such parties may include a creditor, insurer, landlord, and employer. 8) You must give your consent for reports to be provided to employers. Your written consent is required for employers to obtain your credit report. 9) You may limit “prescreened” offers of credit and insurance you get based on information in your credit report. You can stop the flow of prescreened offers by removing your name and address from lists these offers are based on. You can opt-out with nationwide credit bureaus at 1-888-5-OPTOUT or 1-888-567-8688. 10) You may seek damages from violators. You can sue in state and federal courts. 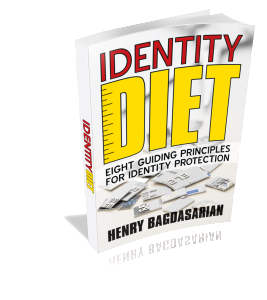 11) Identity theft victims and active duty military personnel have additional rights. Please see Fair and Accurate Credit Transactions Act, FACTA, for additional rights under FCRA that apply to identity theft. Please note that states may enforce the federal FCRA law, or have their own consumer reporting laws. In some cases, you may have more rights under state laws. Contact your local or state consumer protection agency or your state Attorney General for more information. For additional information on FCRA, go to the Federal Trade Commission site or write to them at Consumer Response Center, Room 130-A, Federal Trade Commission, 600 Pennsylvania Ave. N.W., Washington, D.C. 20580. Read about FACTA after FCRA.